Cardiff is the capital city of Wales, home to the Welsh National Assembly, and it's a fabulous place to work, live, study or visit. Although it’s quite compact for a major city, it’s highly popular with tourists who come for the scenery (e.g. Bute Park and Cardiff Castle, Cardiff Bay barrage and the recently regenerated dockland area) and stay for the abundance of nightlife, culture and sporting events. There are plenty of things to do if you’re a student at one of the four major universities based in Cardiff. The nightlife is great and you’ll be spoilt for choice when it comes to sporting fixtures, the arts or other cultural experiences. We have two stores offering secure, cheap self storage in Cardiff - Cardiff Central and Cardiff Newport Road. Both are easy to reach from the city centre and convenient if you’re looking for self storage in Caerphilly, Pontypridd or Newport. You can rent self storage space in our Cardiff stores for just a week or for as long as you need in units ranging from 10 sq ft to 500 sq ft+. Our units are clean, dry and protected against fire, and intruders so your belongings will be kept perfectly safe with us for a low weekly price. Call your most conveniently located Cardiff store direct, book or reserve online (there’s no deposit payable) or complete our online contact form and we’ll get back to you as soon as possible. Get a storage quote today and reserve a Cardiff storage unit for free. We won't ask for a security deposit either. Get 20% off if you need self storage for longer than 12 months. Available at all Cardiff Safestore centres. Terms apply. Cardiff once had a reputation of being an industrial city, however Cardiff has changed dramatically and now offers spectacular shopping, museums, dining and entertainment. The now lively and modern capital city is hugely popular with tourists interested in its history and in Welsh culture. It's quickly becoming one of the UK's tourism hot spots. Cardiff is also home to around 30,000 students studying in various colleges and universities including Cardiff University. If you're struggling for space at home or needing to store your stuff in between terms, then look no further. At Safestore, we offer clean, dry and secure self storage rooms all protected by state of the art security systems including 24 hour recorded CCTV and intruder alarms. You can rest assured that your things are being kept safe. 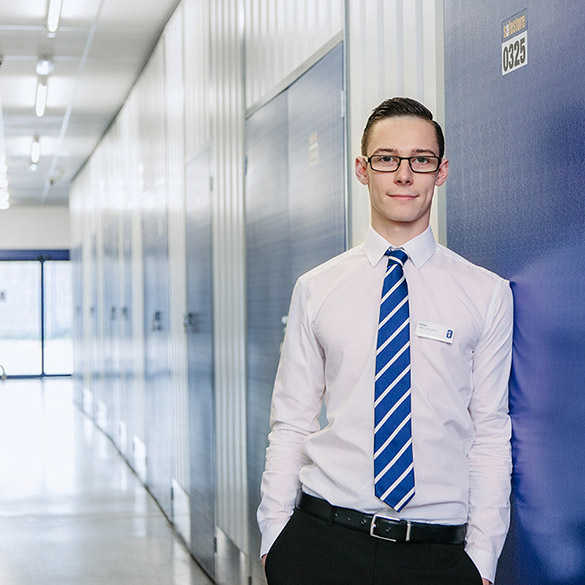 Our team of friendly advisers are here to discuss your household, business or student storage requirements. Give us a call today for a free quote. Cardiff is the capital and largest city in Wales and the eleventh-largest city in the UK. The city's economy has shifted over the years as it used to rely heavily on trade and the exportation of coal and it was home to one of the largest dock systems in the world. Increasingly now, the focus has moved towards white-collar roles, with a growing and diverse creative economy including a large presence in the TV and Film industry. We’re committed to making storing with us as easy as possible, which is why we offer a variety of different sized rooms. From small lockers to large units, you’re bound to find the perfect solution with us. You can rent units for as long as you like, with storage starting from just a week. We also have dedicated business units and office spaces to let. So whether you’re looking for somewhere to store your business’s surplus stock or somewhere to put your furniture while you renovate, Safestore has the solution for you. Wales is renowned for being a friendly place and our professional advisors in store and on the phone embody just that. Cardiff advisors are experts in their field and can help you every step of the way through your storage journey. Safestores, in Cardiff and beyond, are proud to have been awarded a ‘Gold Trusted Merchant’ award in 2014, 2015 and 2016 by Feefo (an independant customer tracking system for businesses), commending our ability and commitment to making customers happy.